Trained as an occupational therapist and fine artist, Hanne has completed a bachelor’s degree in Furniture and Spatial Design at Bergen Academy and is currently working towards earning her master’s in 2016. Taking inspiration from everyday experiences, music, contrasts, lines, light and shadows, her work explores situations of human interaction, and her furniture and room designs focus on these moments of meeting. 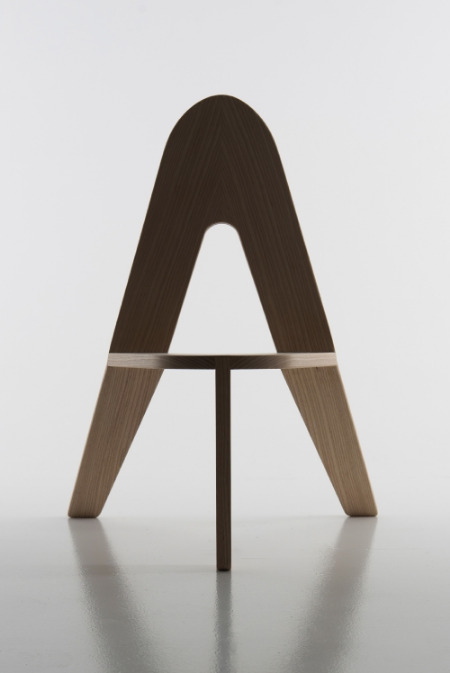 A solid ash chair characterised by continuous lines and patterns, Uno originates from observing the moments of interaction between children and adults, which generally require a lower sitting position than normal chairs. It allows parents and carers to remain flexible and active, while avoiding the bad postures necessitates by playing on floors or tying shoes in doorways. Lightweight and portable (the backrest works effectively as a handle), it’s a playful and inventive seating solution suitable for use in homes, schools and nurseries.